A new study carried out by Intel found that 63% of Americans are confident that autonomous cars will replace conventional vehicles. Yet only 21% mentioned that they would switch to autonomous cars in the future. This paradoxical result shows that improvements in vehicle technology are not enough to make buyers feel more enthusiastic about autonomous cars. The shared goal for vehicle-related and tech companies is to revolutionize the automobile industry and transit to a new era with a plethora of alternatives in regards to mobility. Automakers foresee that the future of mobility will be defined by the implementation of autonomous technology and invest heavily in R&D to be one step ahead of the game. Though, guessing when self-driving cars will be available also banks on the predisposition of consumers to embrace the new technology. Consumer perception about autonomous vehicles has always been controversial though, raising skepticism and resistance to innovation regardless of technology improvements. But consumers are aware of the ineluctable future and are confident that autonomous vehicles will hit the roads soon. Intel’s vision about the future of mobility is detailed in their so-called “Passenger Economy,” in which the total value of autonomous vehicles will amount to $7 trillion by 2050. According to Intel’s report on Passenger Economy, autonomous vehicles will alleviate traffic congestion and save about half a million of people owing to fewer crashes. But people are presently reluctant about riding any autonomous vehicle, indicating companies need to develop a plan to educate consumers about the benefits of self-driving vehicles. 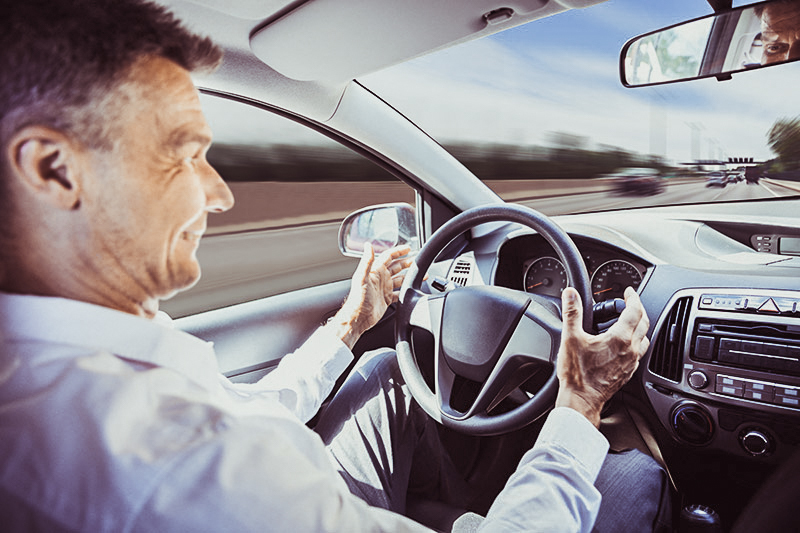 In fact, 43% of participants reported that they don’t feel safe riding an autonomous vehicle, yet nearly half of respondents mentioned that they are looking forward to the day in which they no longer have to drive and focus on other tasks while on the road. This study clearly traces a line between those ones who are reluctant to drive a self-driving car, and others who are eager to embrace the new technology in the future. As previously mentioned, safety appears to be one of the reasons why people reject autonomous vehicles, but it is just a matter for automakers to address technical issues to mitigate those fears. In a similar fashion, the U.S. Department of Transportation has predicted that autonomous vehicles could lower causalities by 94% owing to the reduction of the human margin of error. Intel is evaluating the current market landscape and plans on overcoming product adoption challenges by focusing on more pilot tests and campaigns to educate consumers about the benefits of switching to autonomous cars. The American corporation is also working on a global safety standard to encourage other companies to strengthen product quality and tackle any possible technical glitch during testing. When it comes to autonomous vehicles, setting all-inclusive standards is a milestones in the pursuit of higher consumer trust despite the recent negative publicity.